Note: Leaks should stop within 200 miles (300 km) of driving. If leaks continue, repairs may be necessary. Engine oil leaks usually are caused by engine gaskets and oil seals that have deteriorated causing oil to leak from the engine. When is the best time to use NO-LEAK® brand? It’s best to use NO-LEAK® brand when you first notice a small leak. However, even if you have noticed the leak for quite a while, NO-LEAK® brand should produce the desired benefit. 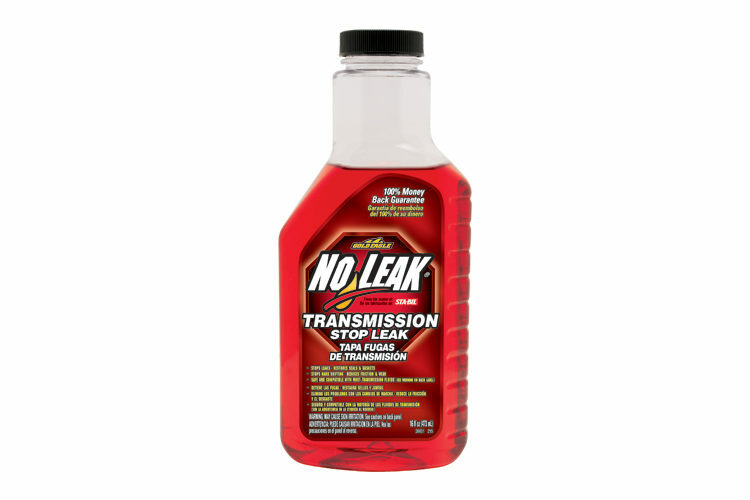 Should I use the whole bottle of NO-LEAK® brand? Yes, for best results, use the whole bottle. 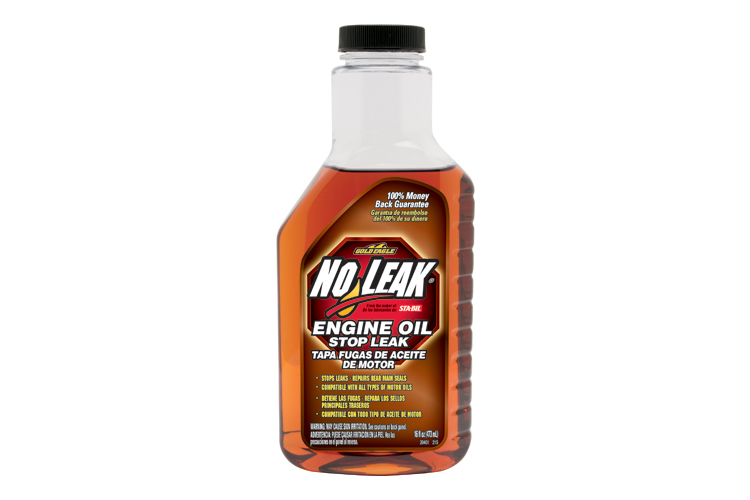 How does NO-LEAK® Engine Oil Stop Leak work? As the rubber seals age and wear under heat and pressure, they shrink, harden and dry up, which can result in oil leaks. 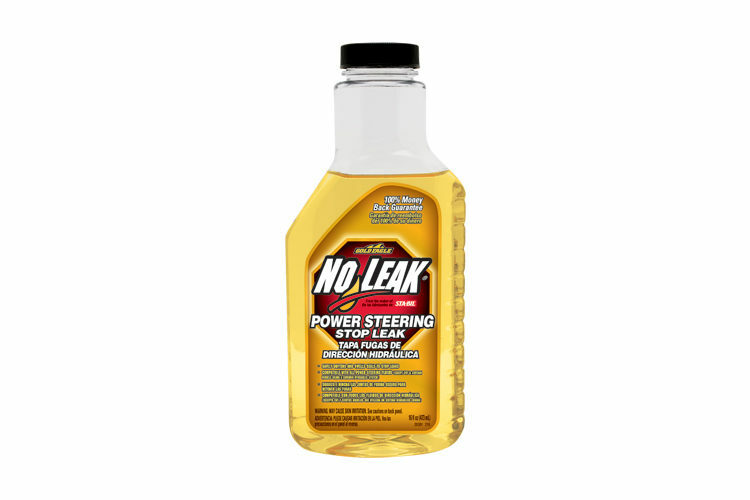 NO-LEAK® brand safely swells, softens, and conditions the rubber seals, which stops the leaks, and avoids costly repairs. Does NO-LEAK® brand always stop the leak? Usually, but not always. If the leak is too severe you should have the engine repaired by a qualified service technician. No Leak® Engine Oil Stop Leak is rated 4.7 out of 5 by 7. Rated 5 out of 5 by joe bag od donuts from great value,save me money i used this on my 2002 chevy blazer 4x4, which had a gasket leak on both sides of the endine, per say by my mechanic. I put one bottle in and have not seen any oil drips on the piece of car board that I place under the car since I used it and driven over 400 miles. I believe this really works and no more oil drips under the car or in my garage. Great product, will reorder for my 2000 chevy blazer , which has the same problem, but dripping a lot of oil, and will test it out again ,if it doesn't work, then , to the mechanic to a val cover gasket job, amd a cost of $800- to $1,000 job. Will see, will keep this open and repost .. Rated 5 out of 5 by David123 from Tried it on my truck Have had a small persistent leak in my Ford F-150 and added no leak I bought from an auto parts store. It's been about a week and i don't see the leak any more! Rated 5 out of 5 by Sara from First impressions count I've never used any car products like this. It was my first car. An 05 Chevy Malibu. After about a year it started with this small, persistent leak. I had no idea why. So When I got this, I was skeptical. Thinking it would hurt my car, but in fact the leak has stopped. I'm impressed to say the least. Rated 5 out of 5 by Dieu Donne from The product works and saves my car. I receeived a free No Leak Engine Oil Stop Leak and I would like to tell you that this stop leak works. Rated 5 out of 5 by 360Rocket from WOW! Sat-Bil NO LEAK Engine Oil Stop Leak! This will be my quickest report back and most impressed with an automotive product as I can ever recall. So just 10 days ago, I performed an oil change on my GTO that since ownership has had a fairly big rear main seal leak. 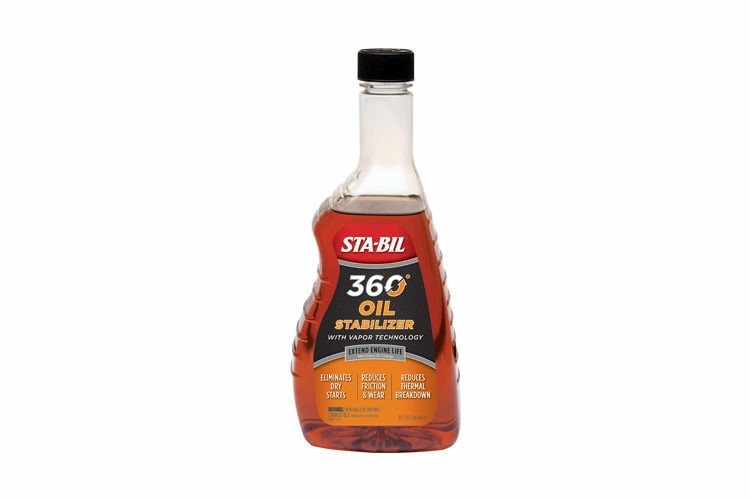 I got a bottle of Sta-Bil NO LEAK Engine Oil Stop Leak from the coolest people at Gold Eagle. I changed the oil in my GTO and added a bottle of Sta-Bil NO LEAK Engine Oil Stop Leak per directions. My plan for this review was to start with a photo of a metal drip pan before adding the No Leak to my engine but I forgot but I can tell you the pan was full of oil and it took me a full can of carb cleaner to remove the oil. My plans were to each week take a picture of the pan to show the leak either gradually go away within 200 miles or not work at all and post it here weekly for your review. So with that visual in mind, and also the directions on the bottle that said this product would take driving the car for 200 miles before the leak was guaranteed to stop, I have below a picture of that same metal drip pan after driving my GTO only 8 miles that's to work and back and then letting the car sit with this metal pan under the engine for a week! All you are seeing is previous stains on a drip pan I've owned for more than 15 years! No leaks at all! I think one picture will cover 1,000 words of praise for this amazing product. Thank you! Thank you! Thank you! for bringing such a killer product to the automotive market. I'm here to tell you I've never been so impressed with such complete results and lightning fast fix to boot. 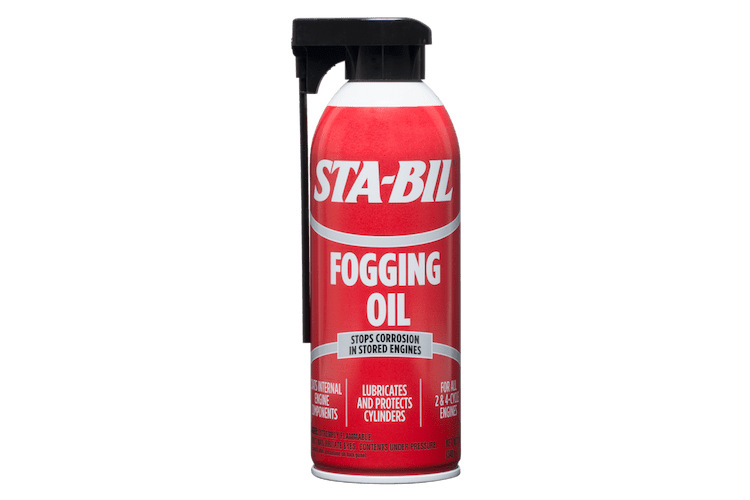 I'm a believer in Sta-Bil NO LEAK Engine Oil Stop Leak.